Ms Ines Celestin is a single mother and farmer from the rural community of Anse Ger, Micoud. 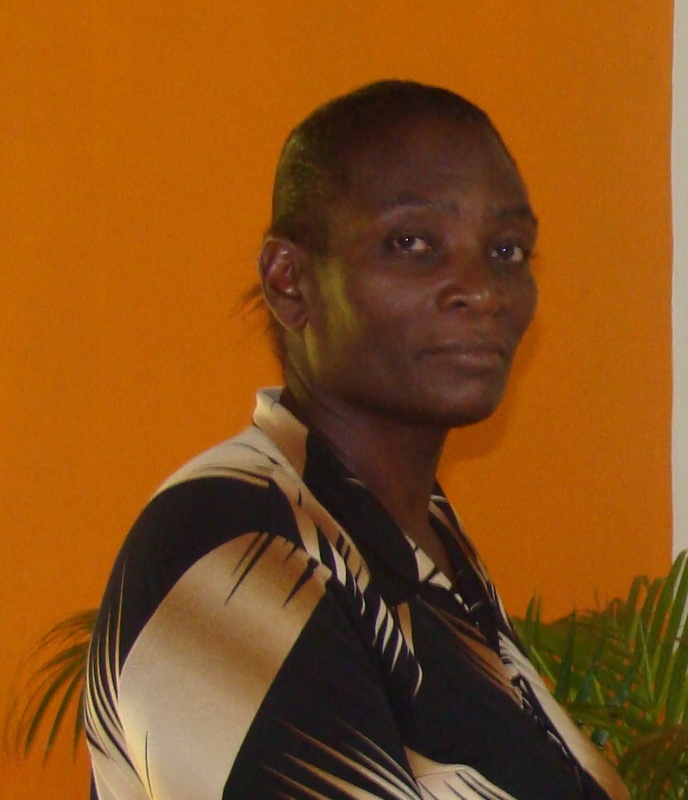 She is also a member of the Micoud cluster of St.Lucia Network of Rural Women Producers. For Ms Celestin, farming is not a hobby, but her livelihood. This is the only source of income for supporting herself and her family. Ms Celestin is truly a survivor: she has overcome many adversities during her thirty plus years farming career. In spite of it all she has not given up but has continued to persevere and to build resilience against all odds. Droughts, black sigatoka disease, storms and floodings have all taken their toll on her farm. On December 24th, 2013, her entire farm was completely destroyed when an unexpected trough hit the island of St.Lucia. Her irrigation system which she had acquired a couple years earlier was also washed away in that flood. It was a devastating blow to Ms Celestin whose livelihood depends solely on farming. Though she faced some tough times in the months shortly after that disaster she did not give up. Instead she faced the reality head on and made preparations to rehabilitate the farm: it was cleared of all debris, a small loan was sourced from our Network Revolving Fund to replace her irrigation system and she began replanting. Over the last six months her farm has produced some of her best crops ever. She now has a bounti ful crop of sweet potatoes which is currently being harvested. Ms Celestin is truly a force to be reckoned with. Her resilience and dedication to farming is paying off. She has proven that no drought, no storm, no flood will hold her back. What tough revenge on the trough. What a woman! Ines made it happen.